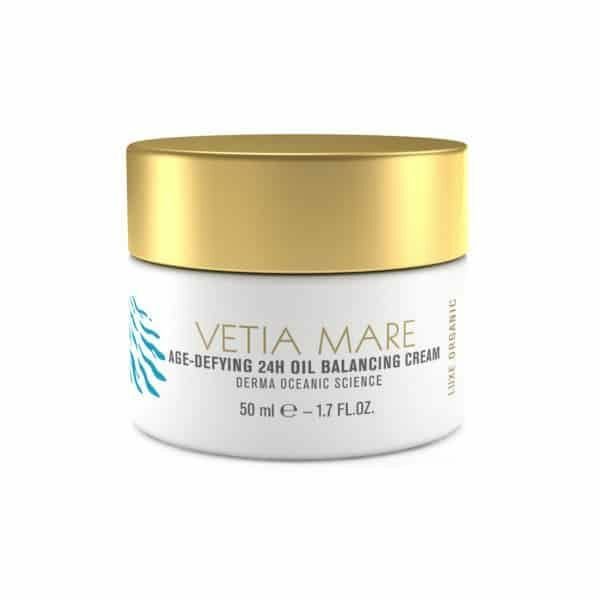 This soothing cream, designed for oily, stress-prone skin, contains ocean-derived ingredients, which calm irritation, diminish redness and swelling, reduce pigmentation, and regulate sebum secretion. An extract from sea whip contributes to powerful calming benefits while a brown alga extract inhibits pigmentation and sebum production. The final aesthetic result is a finely textured matte complexion, light and even colour, clarity and brightness of your skin.